Industrial air cleaning in Scandinavia : ASIO, spol. s r.o. ASIO NEW supplies not only products used for wastewater treatment and water processing but also those used for air purification. Within these activities, we cooperate with various leading companies in their respective segments, both in the Czech Republic and abroad. 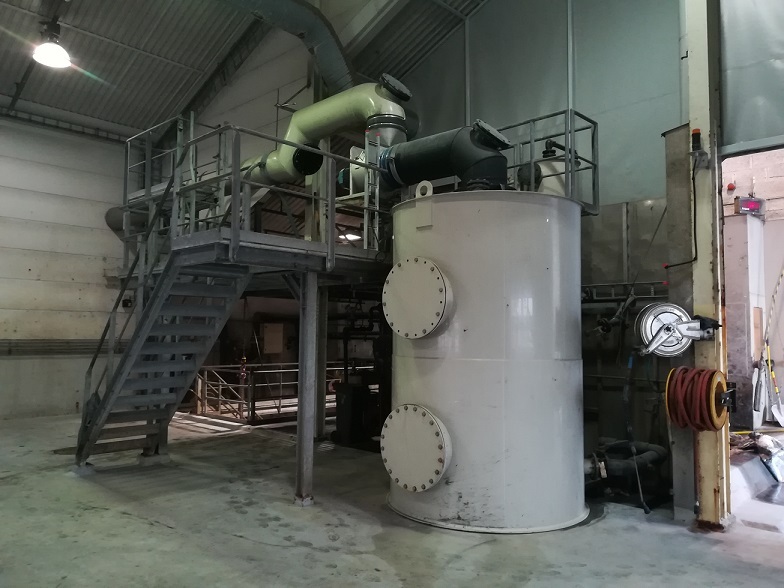 For our long-standing Scandinavian partner, we manufactured and supplied a large aboveground filter located in a unit processing fly ash from a power plant. 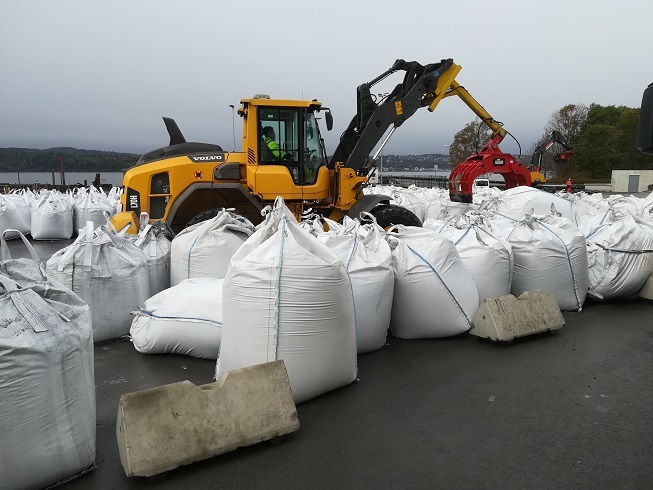 This equipment forms a part of a large industrial complex for processing of dangerous waste, which is located at a separate island in Norway. Employees and trucks are transported to the inland by a ferryboat shuttling continuously between the island and the nearby mainland. The filter itself consists of an aboveground cylindrical self-supporting vessel with an internal built-in structure; on the site, the structure is filled with active carbon. Using heavy-duty fans, air is brought into the filter, where it passes through a layer of active carbon in order to remove dust and other impurities. The filter maintenance and replacements of the charge are carried out in regular two-week intervals through two inspection manholes situated in the vessel wall. In spite of the almost round-the-clock process under rather complex working conditions, the filter works without any problems and to the maximum satisfaction of the plant operator.